Q: Which Sales Tools are available ? A: The Check Point 1100 Appliance series was introduced at the Check Point Experience 2013 in Barcelona and is the successor to the UTM-1 Edge and the SG80 Appliance series. As such it features the best All-In-One NGF Enterprise-Class Security solution for Branch Offices. The 1100 Appliance integrates an 8-Port Switch (Layer 3, managed), DSL modem (Annex A/B), Next Generation Firewall (including a NAT Router, Threat Prevention, IPS, Anti-Virus, Anti-Spam, Application Control & URL Filtering), Identity Awareness, Mobile Access, WLAN Router, Wi-Fi Hotspot and more. It also offers dynamic routing, quick deployment functions, 3G connectivity using a USB or Express Card support, multiple Internet connections, Policy Based Routing, DDNS (DynDns, No-IP), and more is planned with the upcoming firmware releases. Q: Which 1100 Appliance license models are available ? Q: Can I upgrade the licensed model later on (1120 -> 1140/1180 or 1140 -> 1180) ? A: At the moment you can trade-in your 1100 Appliance to get the higher model for 20% off. This is possible in form of a license or hardware upgrade. Q: What are differences between the Safe@Office, UTM-1 Edge, Series 80, 1100 and 1200R appliances ? Q: Which 1100 Appliance hardware models are available ? 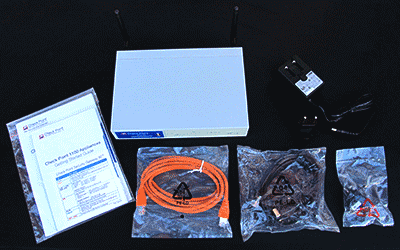 Each model can be ordered with ADSL2 Annex A (POTS) or B (ISDN) and with WiFi 802.11n integrated. The hardware doesn't differ between a 1120, 1140 or 1180 model. It's the license that limits the appliance and locks it down to the licensed system qualities. The 1120 Appliance can be ordered as a classic Firewall appliance with a Software Blades bundle consisting of 5 blades (FW, VPN, ADNC, IA, MOB-5) or, just like the 1140 and 1180 Appliance models, as a fully featured Next Generation Firewall with a Software Blades bundle consisting of 10 blades (FW, VPN, ADNC, IA, MOB-5, IPS for 1 year, APCL for 1 year, URLF for 1 year, AV for 1 year, ASPM for 1 year). A: The sizing recommendation is based on number of users. Q: Can I just buy the 1120 Appliance Firewall package and later purchase the Threat Prevention package ? A: Yes, you can add Threat Prevention package to the 1120 Appliance. Q: How do the 600 Appliance models differ from the 1100 Appliance models ? A: The 600 Appliance models are technically identical to the 1100 Appliance models. They even use the same firmware. However, they are branded and sold as an All-In-One solution for the SMB market and therefore cannot be managed centrally by a Check Point SmartCenter Server, just like the Check Point Safe@Office Appliance line they replaced. Q: How is it delivered ? A: Let's start unpacking it. A: Check Point says: "We officially call the OS on the SG1100 Embedded Gaia." However, the Check Point websites name the OS "Gaia Embedded", so there is still some confusion whether it's Embedded Gaia or Gaia Embedded. sk92741 lists the Gaia Embedded OS features. Q: What does this mean compared to an UTM-1 Edge ? Q: Which MAC adressing scheme is used for the 1100 Appliance series ? Q: From which SmartCenter version upwards can it be managed centrally ? A: R75.46 for R75.20 based firmwares. A: R77.30 for R77.20 based firmwares. A: Check Point lists it's 1100 firmwares in sk97766. R75.20 (983003571) [Jul 16 2013] fw1_dep_R75_983003571_20.img | Fixes a nasty VPN issue when IP is changed by ISP on DAIP device. Q: Where can I quickly view my 1100 Appliance's status in the Web UI ? Q: How are the LED statuses of my Check Point 1100 Appliance described ? A: SD-HC card types up to 32GB only. If inserted the 1100 Appliance will automatically format them. Logs can then be saved to the card. Q: Which 3G and 4G/LTE Modems are supported with Check Point 600 / 1100 appliances ? A: Check Point lists all supported cellular modems in sk92809 and in the firmware release notes. Therefore the following two tables provide a more specific overview. Q: The 1100 appliance type is missing in R75.46 / R76 SmartDashboard ? A: sk92732 provides an automatic and a manual procedure to add it. Q: Why does a policy installation onto my Check Point 1100 Appliance fail with *** glibc detected *** errors ? A: sk93385 provides a hotfix and installation instructions. A: This is a known issue in current releases. Only change wireless settings when you are directly connected to your 1100 Appliance. Changing wireless settings, such as the MAC address filtering list, when connected per WLAN (via Wi-Fi) leads to a permanent error in the configuration that won't even be resolved by connecting directly later on. Only a complete reset of the 1100 Appliance will currently help fixing this issue. Q: Why does my 1100 Appliance not perform as fast as my previous UTM-1 Edge N Appliance ? A: The 1100 Appliance performs far more security functions than a UTM-1 Edge N, thus why you are seeing differences in performance. By disabling blades you are not using in Home > Security Dashboard, performance should improve. Always keep in mind that a 1100 Appliance is Check Points smallest NGF Appliance, designed for the best security even at small and home office environments. Since it's an Embedded Appliance running on an ARM CPU it's by design of the product that it's performance assets are quite limited. The more blades it has to run, the less the overall performance will be. Q: Why do I get an error when activating my Check Point 1100 Appliance ? 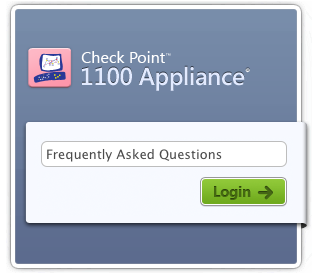 A: It's always recommended to activate the Check Point 1100 Appliance manually. Therefore just generate and download the activation file in your Check Point UserCenter account. Then activate your 1100 Appliance with the downloaded activation file. Backup the activation file for later activations. Q: Does the 1100 Appliance support clustering ? A: Of course. You'll have to use High Availability (Active/Standby) clustering mode as Load Sharing mode is not supported yet (known limitation). Q: How is synchronization configured in a 1100 Appliance cluster ? Q: How can I securely copy files via scp to/from my 1100 Appliance ? Q: Can I run my own scripts on the 1100 Appliance ? A: Just connect a standard FAT-formatted USB stick to the back or front USB port of your 1100 Appliance as a local storage device for backups. A: Please note: An empty backup file will be created if the 1100 Appliance just runs with a trial license. To overcome this issue, you'd need to backup the specific files manually. Q: Which ports do I need to allow in order for my 1100 Appliance to be able to talk to my Check Point Security Management / Log Server ? Q: How can I set up a certificate based VPN on my 1100 Appliance ? Q: How can I troubleshoot VPN issues on my 1100 Appliance ? 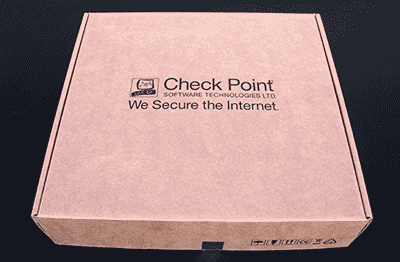 Q: How do I set up certificate based VPNs with my Check Point 1100 appliance ? Q: Why do I get an "invalid certificate" error when trying to establish a Site-to-site VPN with my 1100 Appliance using an internal certificate ? A: Check Point provides a detailed description of the cause and a working solution here. Q: Why does no traffic pass through the VPN tunnel between my 1100 Appliances and an interoperable device ? Q: Which clustering modes are supported by Check Point 1100 Appliances ? A: High Availability (HA) only. Load Sharing mode is not supported (yet) as noted in the Known Limitations. Q: Which clustering technology is being used by the Check Point 1100 Appliances ? Q: Can I configure a Check Point 1100 Appliance cluster by using two different 1100 models ? Q: Can I configure a Check Point 1100 Appliance cluster with cluster nodes running on different firmwares ? Q: Can I configure a Check Point 1100 Appliance cluster with more than two cluster nodes ? A: Check Point officially says: "A Check Point 1100 Appliance security gateway cluster is a group of 2 members each representing a separate Check Point 1100 Appliance". So this is the only supported solution. 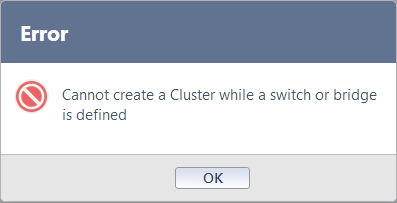 However, more than two cluster nodes can be configured centrally when editing the cluster properties in classic mode. In local management just two cluster nodes (primary, secondary) can be configured. Q: Is there any other limitation when considering to run Check Point 1100 Appliances in clustering mode ? A: Yes, you can't neither use switches nor bridges in the local configuration of your 1100 Appliances. Q: How do I know if my inactive cluster node became active when running Check Point 1100 Appliances in clustering mode ? 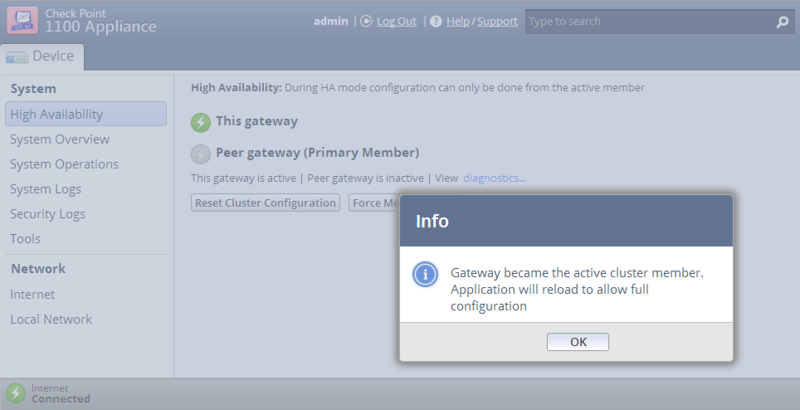 Q: How do I know if my active cluster node became inactive when running Check Point 1100 Appliances in clustering mode ? Q: When running Check Point 1100 Appliances in clustering mode, how can I manually change the activity of the cluster nodes ? Q: I configured a Check Point 1100 Appliance cluster but still keep getting errors ? A: Don't forget to reboot your Check Point 1100 Appliances right after the cluster configuration in order to get the cluster working. Otherwise you might see blocked connections for the service 'CP_Cluster_sync' in your log files. Q: I keep getting an 'Error during OS sync' at the end of my Check Point 1100 Appliance cluster configuration ? A: To overcome this issue just reboot your Check Point 1100 Appliance without closing the error window shown below. Q: Why are connections to TCP port 443 blocked on my 1100 Appliance ? Q: Why is my VoIP phone not working behind my locally managed 1100 Appliance ? Why does my IPS blade still blocks SIP traffic with the error message 'IPS - SIP data malformed or Error with SIP data.' even after I turned it off ? A: Because on Check Point 1100 Appliances that are locally manged, the implicit policy rules of the IPS blade are working, even if the blade is turned off or an exception rule is created. sk93200 provides a solution by changing the default port (5060) of the SIP_TCP and SIP_UDP objects and creating two new ones. 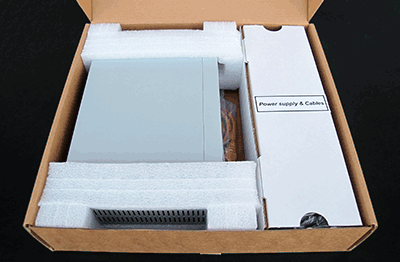 This circumvents the content inspection engine and therefore will allow your VoIP phone to work. Q: How do I to create an "Allow and Forward" rule on my locally managed 1100 Appliance ? Q: What's on the road map ? A: A new 1100 Industrial Appliance will be available in Q1/2015. A: IPv6 support is planned to be integrated in future releases. A: A rack mount kit accessory will be added to the price list shortly to allow housing 1100 Appliances side-by-side or centered in a 19” wide rack. A: An online demo of the Check Point 1100 Appliance's WebUI, similar to the old UTM-1 Edge Demo. Q: Is SandBlast supported by version R77.20.51 ? A: Yes, the 700 / 1400 / 1200R appliances support the Threat Emulation Blade. A: Locally managed appliances emulate their files in the ThreatCloud. A: Centrally manged appliances have the additional option to emulate their files in a remote SandBlast appliance. N: An additional license is needed for the Threat Emulation Blade. N: Further information can be found in the following sk's: sk114815, sk115616. Last edited by danjun; 2018-10-30 at 07:25. I thought the 1100 was a successor to the SG80 series. Is it also replacing the UTM-1 Edge as well? Last edited by mcnallym; 2013-05-07 at 09:04. Excellent! Let me know if you need anything special here on the discussion board. Yes, it is replacing the SG80 and the UTM-1 Edge at the same time. The 600 series replaces the Save@Office models and cannot be managed centrally by a Check Point SmartCenter Server. @Barry: I'd recommend renaming this forum from "Series 80" to "1100 Appliances" and making this FAQ sticky. Now it's sticky and I've renamed the forum. Let me know what else I can do to help. On Gaia Embedded does the administrator have access to a full command shell (like expert mode on regular Gaia) and the ability to run a tcpdump from the command line? Last edited by ShadowPeak.com; 2015-12-05 at 00:43. I can confirm from a box we had in for demoing to customers that fw monitor and tcpdump are both available on the 1100 series via the console. Made my day that did that can start doing the basic debug checks that used to doing. This is excellent stuff. A couple of minor corrections/additions. 1. We officially call the OS on the SG1100 Embedded Gaia. 2. clish on the SG1100 is very similar to Gaia on the regular appliances, though there are some differences. 3. When you drop to expert mode, you get a full Unix-type shell with most of the usual commands (fw monitor, tcpdump, etc). If you're interested in knowing if specific commands are available, I can check. 4. SG80s can be upgraded to SG1100s by loading the new firmware (surprised no one asked this yet) but because we have less ram in the SG80, the max concurrent connections attainable on the SG80 will be a bit lower than on the SG1100. 5. The main difference between the SG600 and SG1100 is the color of the chassis (the SG600 is Orange like the old Safe@) and the type of central management allowed. Both types support local management. The SG600 can be centrally managed by Check Point's SMB Management Cloud service. The SG1100 can be managed by standard Check Point management running R75.46 or above. Neither unit can be managed by the old Sofaware SMP product. Excellent, this was one of my major beefs with the Edge boxes. I am using 1140 appliance and manage it locally. I am having problem with internet speed since I have started using it. My speed is cut in half of what I used to get with 1000n appliance with cloud service. With 1140 appliance speed stays between 25-26 mbps. Service provider provides 50 mbps. I was getting over 50 mbps before I started using 1140. I am using all the default settings it came with. QOS is default too. Using it at home. I would appreciate any help to fix it. The 600/1100 performs far more security functions than a Safe@ 1000n, thus why you are seeing differences in performance. By disabling blades you are not using in Home > Security Dashboard, performance should improve. To upgrade between one model and another, no hardware trade-in is required. You simply pay the difference in cost between the old and new SKU (i.e. it's a 100% trade-in credit). The SKU for your appliance will be updated in User Center and you install the updated license. so what are your guys real life experiences with the 1100 series? we already had one who had performance issues with his 1140. Could you provide the info which blades were running? I assume every blade was on ;) Would have been interested what the speed gain would be if you enable only the 5 standard blades. need a 1120/620 (without APPCTRL, IPS ...) for a 30/4 VDSL Line with a small DMZ (only some small http transactions in there) and fear that the 1120 will a bottleneck. woa, that looks kinda bad :( Which Blades are remaining now in your config? And how do you measure your speed? How many Clients behind the firewall? can you run a "top" command (if available) while testing and poste the output and explaining you test method? Last edited by aueberbacher; 2013-07-09 at 16:18. This is a public static FAQ. Please reply only if you have something interesting to add. For anything else please open another thread. But I was told by someone working at Checkpoint that logs are deleted form the SD Card if there is an electric failure or shutdown. He suggests to put them on a USB stick. Simple question: is this possible to decide where to write the logs (SD Card or USB Stick). All I want is to keep them on the device (or an external memory) even in the case of an electrical failure. new release out for 1100/600/SG80. It solved for me a rather annoying bug. The S2S VPN's wasn't displayed in the VPN tunnels menu. First of all you can't really control where the logs go. Second, your "source" is correct, but only if there is no SD card. With an SD card, the logs are kept between reboots, power cycles, etc. I have logs on my unit from since the end of July. The unit was rebooted a few times since then, including to apply R75.20 HFA 25. By Vic@techvf in forum Announcements From Check Point Administrators, For Sale/Wanted, Etc.